After having had an awesome lunch at Ninety Nine, Laura and I felt like having something sweet. Ice cream always fits the bill for us, but we wanted great, award-winning ice cream. 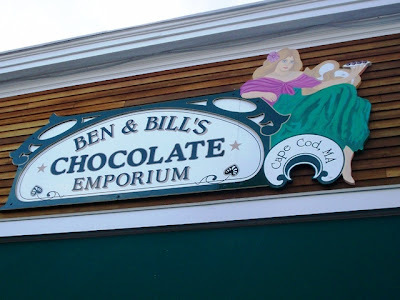 That could only mean a trip to lovely Falmouth to Ben & Bill's Chocolate Emporium. So on a lovely fall-like Saturday, we took the highway and headed to the Cape. Soon we were in the very cute main street section that houses lots of stores, souvenir shops and places to grab a bite. Nestled in the midst of these quaint surroundings is Ben & Bill's. Don't let the sign fool you. There's lots more here than chocolate. There's a popcorn machine as you enter the shop and a long counter that houses magnificent, huge truffles, turtles, peanut butter cups, and of course, chocolates. But we were interested in the other side of the shop; the side with the homemade fudge and ice cream. We've been here a few times before (click here and here) and we've never been disappointed. Ben & Bill's is famous for their honored butter crunch ice cream. 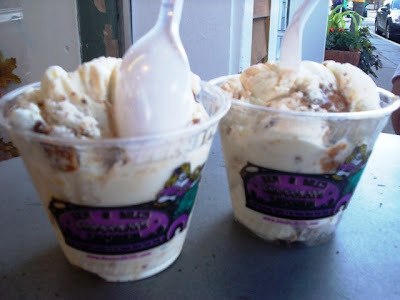 It's a thick, rich, creamy butter based ice cream with their signature Buttercrunch English toffee candy and walnuts folded in. I can't even describe how delicious and flavorful this ice cream is. It's worth the trip, believe me. Laura and I were going to eat ours at one of the tables outside, but it was too cold. Into the car we went and devoured our cups. Ben & Bill's is very generous with their portions so Laura and I were more than satisfied with the kiddie cup at $4.25 (it would be a small anywhere else). After we finished our treat, we headed back to the city (with quarter pounds of both chocolate marshmallow and pumpkin fudge lying in wait on the back seat). You have to try this ice cream ... and the fudge ... and some chocolates. 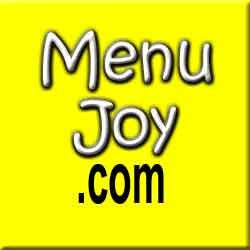 Check out their website above so you can see all they have to offer. It's all good.